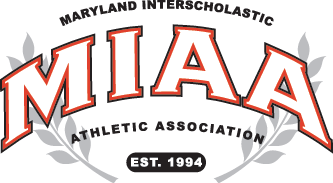 The depth and amount of basketball talent in the MIAA A Conference should surprise no one, but that point was underscored, Wednesday evening, as Gilman welcome No. 3 John Carroll to Roland Park and claimed a surprising 71-64 win over the Patriots. The contest was tightly battled with Gilman (4-1 overall, 1-1 MIAA A) leading at the end of each quarter, including a 25-24 advantage at the half. Gilman’s balanced scoring led by Jalen Rucker’s 17 points, followed by 16 from Brandon Madison. Donald Duncan added 12 and Ciaran Sandy netted 11 to help lead the Greyhounds to a victory. Gilman hit 10 three pointers and shot 21-of-25 from the line. Montez Mathis of John Carroll led all scorers with 36. The Patriots are now 4-2 overall and 1-1 in the A Conference.